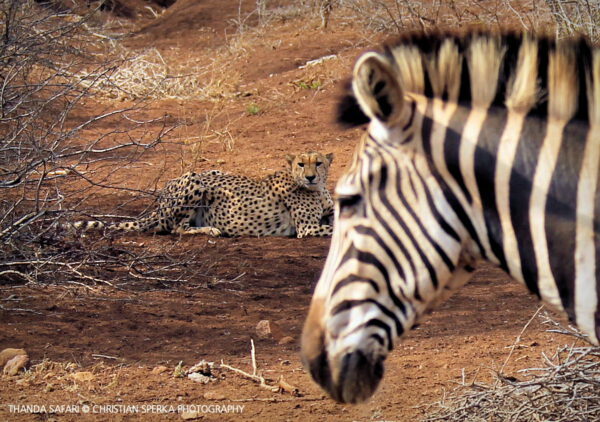 One would imagine that the appearance of carnivores like Cheetahs would lead to the flight of any herbivores, which are usually on the menu list of big cats. 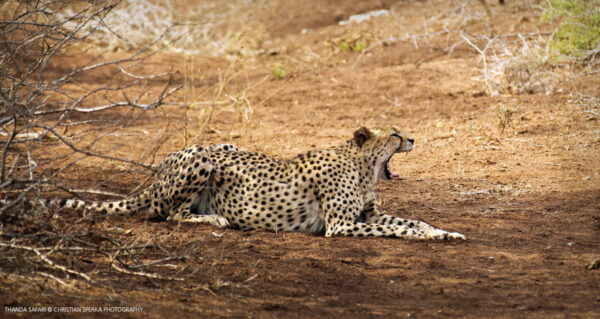 But the Thanda Safari guests enjoyed a sighting of two Cheetah males ignoring a dazzle of Zebras. 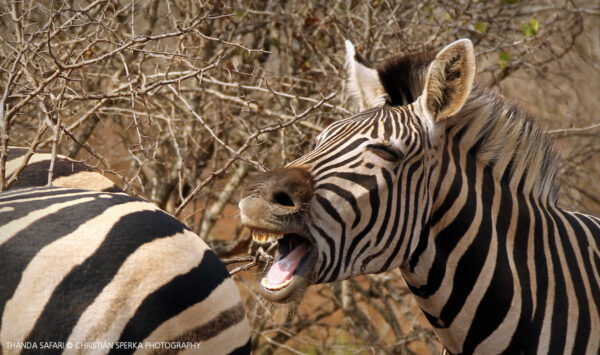 Adult Zebras are too large as prey for Cheetahs. 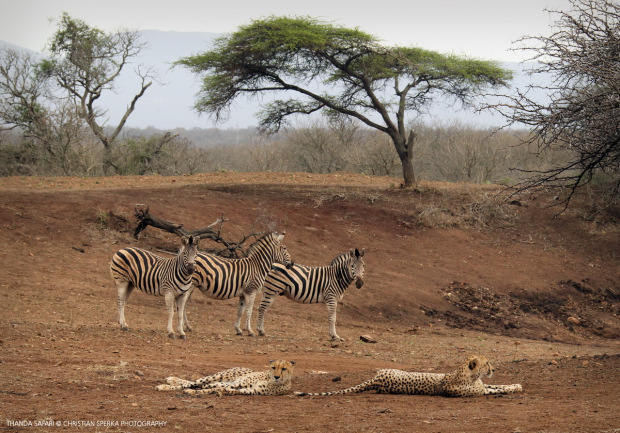 These Zebras in turn ignored the Cheetahs after an initial hesitation. 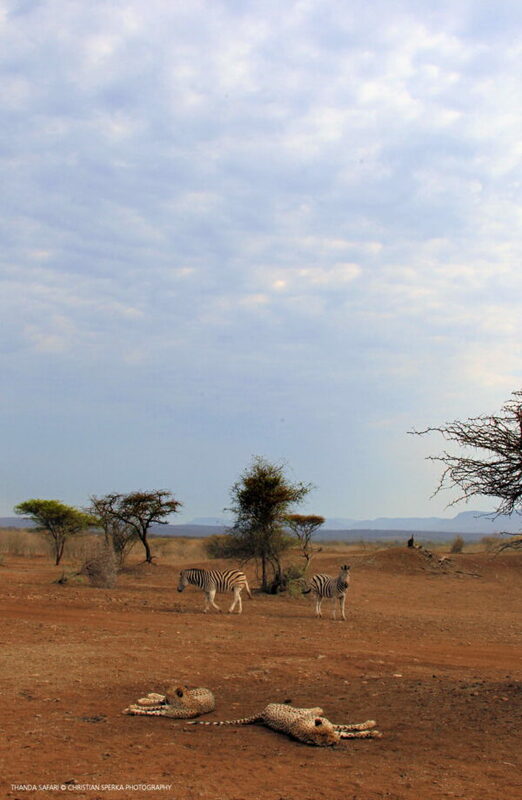 They went to drink at a nearby waterhole in peace and quiet. 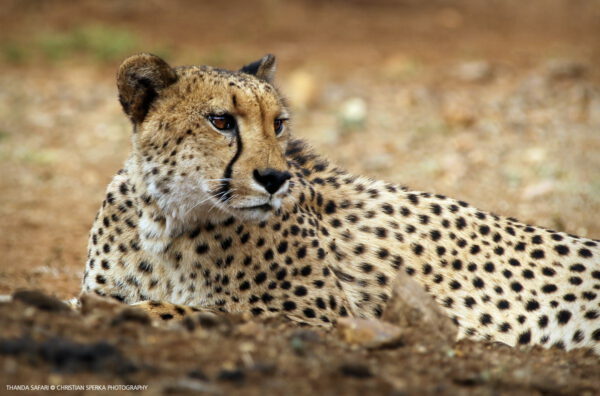 Cheetahs prefer medium-sized prey with a body mass ranging from 23 to 56 kg (51 to 123 lb). 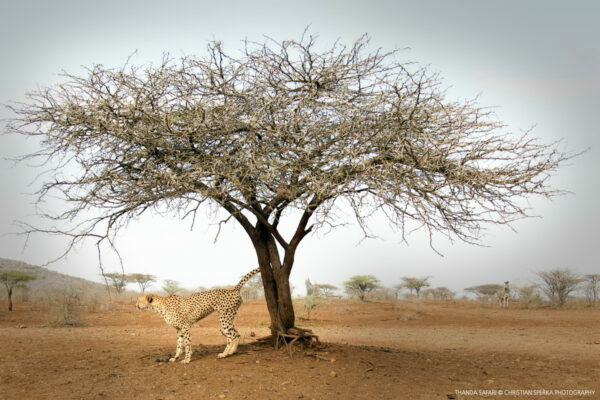 There are no records of cheetah killing human beings.The diet of Cheetahs depend on the area in which they live in. For example, on the East African plains, the preferred prey is the Thomson’s Gazelle, somewhat smaller than Cheetahs. In contrast, in Kwa-Zulu Natal the preferred prey are Impala. They do, however, opt for young and adolescent targets. 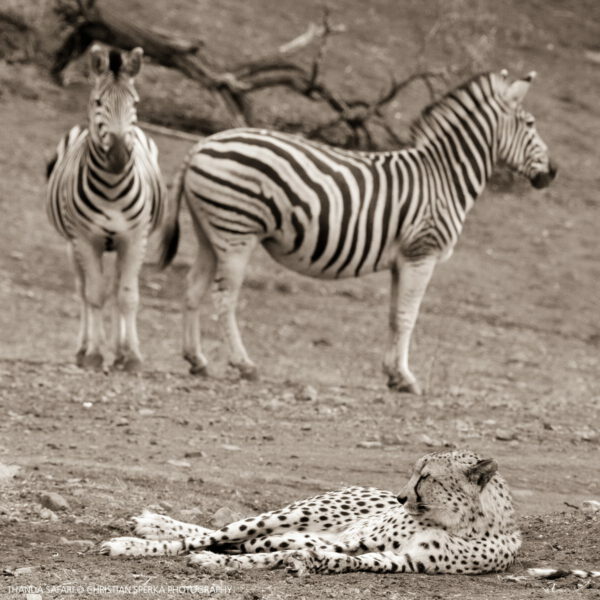 The two Thanda Cheetah boys have also been seen on young Zebra kills, on young Wildbeest kills and even on adult Nyala kills.